Williams told the magazine that she, herself, is in-between sizes. And she wants women, including those like her, to feel “great,” too. “I wanted to make clothes that would fit a curvy women and have them feel great; let’s focus on that,” she said. There’s a market for “great” fashion, too. Marketdata analysts estimate that, in 2015, the plus size market in the United States was worth $21.5 billion — and sales are expected to grow by 4.1 percent annually. This means that the market should reach just under $26 billion by 2020, according to Market Research. The increase is largely driven by the fact that 68 percent of American women wear a size 14 or above. Williams is positioning herself for success — despite all of the pushback she’d received from industry insiders. 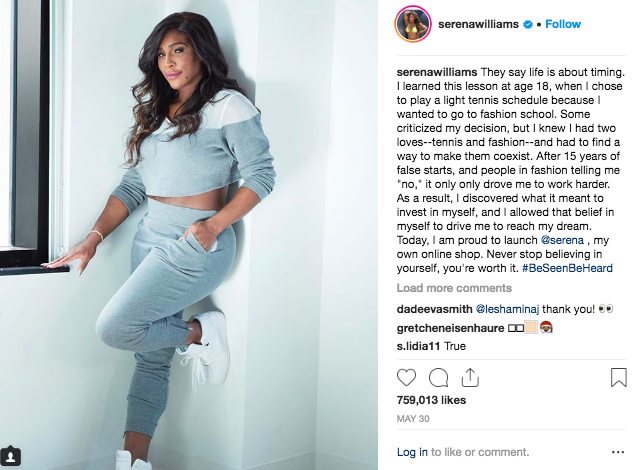 In an Instagram post in May, Williams described her foray into fashion. 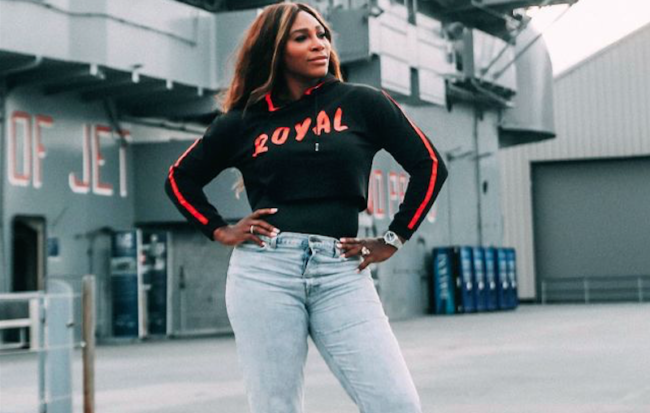 The tennis star’s Great Collection carries pieces in sizes from 1X to 3X (dress sizes 14 to 24), which consumers can find on Neighborhood Goods and Williams’ own website. They consist of everything from black leggings to sequin skirts and ruched dresses, all of which go for under $200. “It’s important to me to have high-quality pieces without them costing $500,” she told Marie Claire. 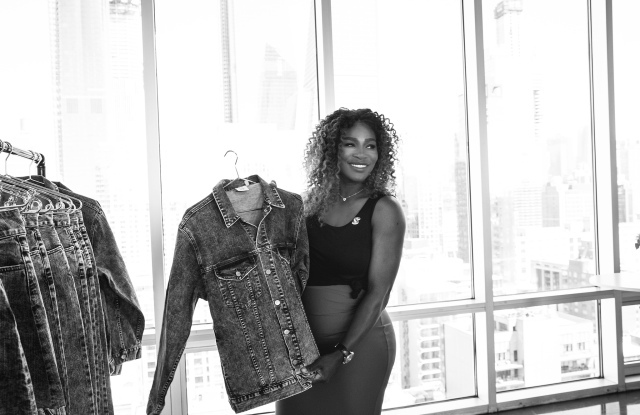 Admitting that she loves fast fashion but noting that it doesn’t last, Williams is creating quality fashion for women to feel empowered.